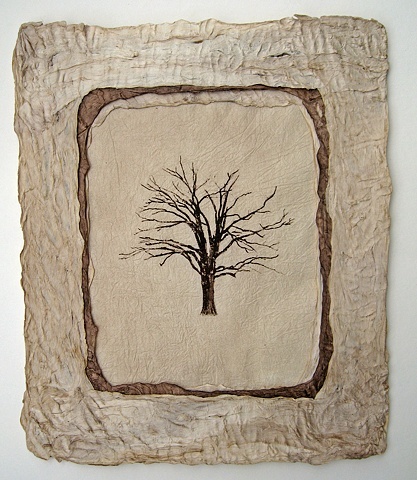 The oak tree image was printed on handmade kozo paper that had been treated with a natural starch that adds texture and water-resistance. This particular paper is called momigami. The print on momigami has been framed and mounted in two layers of kozo bark paper (amate); the inner layer was colored with a walnut stain. The completed assemblage is constructed so that no additional framing is needed for hanging.